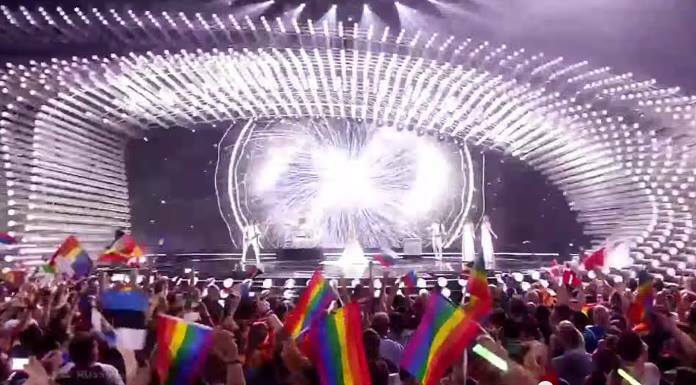 The 2015 Eurovision Song Contest has a theme of Building Bridges and it seems to be having a positive effect for one of Eurovision’s strongest supporters – the LGTB community. 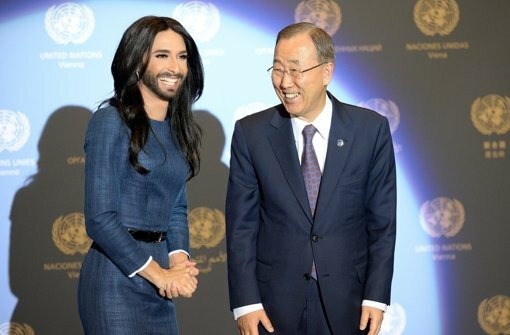 A year on and Conchita is finding great value in the theme of the 2015 Eurovision Song Contest: Building Bridges. She has found an ally in Russia’s representative Polina Gagarina, who between them and their public acts of friendship have definitely helped build bridges between the army of Eurovision fans and the Russian delegation. Last year’s Russian entry, 17 year old Tolmachevy sisters were distraught after being loudly booed before and after their performance in Copenhagen. It was unfair for two girls not old enough to vote to be held accountable for the actions of a Government. The European Broadcasting Union stated clearly in their Eurovision Song Contest press conference yesterday that this would not be tolerated and asked for artists to be respected for their efforts at Eurovision. They also stated that flags in the arena should only be of participating nations. Polina has been clear that she believes everyone is equal and the fans and journalists at this year’s Eurovision Song Contest have been swayed by her public appearances and performances. She is now seen as a strong favourite. Read more on the LGTB story on ESC Buzz here. 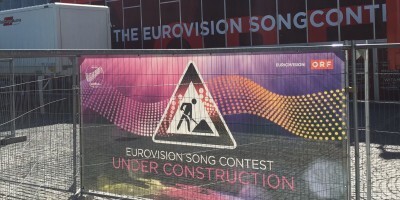 The EBU have been clear in their press conference that only flags of competing countries at the 2015 Eurovision Song Contest should be waved in the Vienna Stadthalle arena during the broadcasts however many rainbow flags were held aloft swaying to the Russian entry during it’s successful passage through last night’s semi final. It is a tribute to Polina’s efforts in Vienna that the ‘boogate’ incident seems to have been removed from the competition, much to the relief of all that love the Eurovision Song Contest. Read more on Russia’s chances at the 2015 Eurovision Song Contest here. 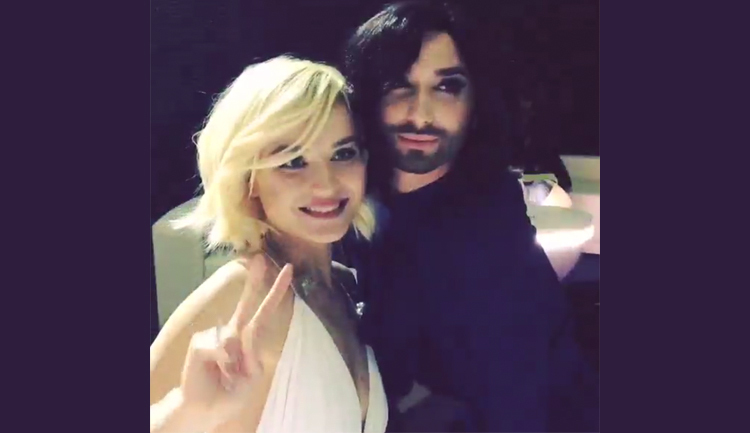 Polina Gagarina has embraced last year’s Eurovision winner Conchita Wurst in Vienna. The two have shared jokes, friendly embraces and it is entirely possible that Conchita will pass her crown to Polina on Saturday night. 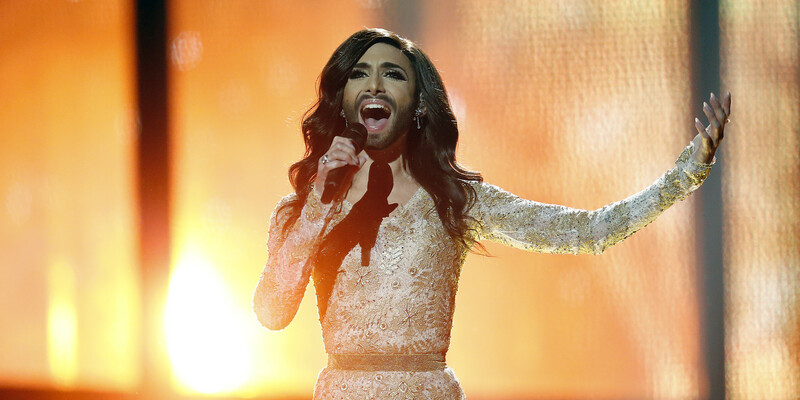 Russia are quickly becoming the front runner at this year’s Eurovision Song Contest. You can see them meeting below on Polina’s Instagram. Has Estonia combined the last Eurovision’s top two songs for 2015? 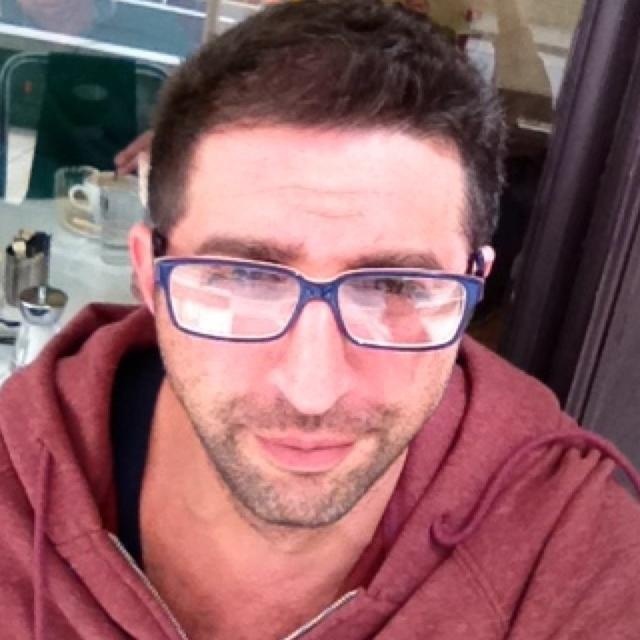 Nadav Guedj wins Israeli ticket to Vienna Eurovision Song Contest!